As a dietitian, I am always on the lookout for new, healthy foods. I do eat most foods and believe that everything can be enjoyed in moderation, however, try to stick to mostly healthy options. Today, I have a truly awesome company to introduce to you: Veestro. 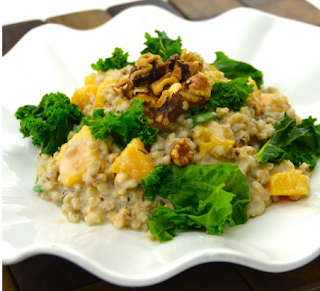 Veestro is a meal delivery service that provides 100% plant based, organic, preservative free food. The reason that I am so excited about this company is because it is the first frozen meal company that I feel like I can back 100% and truly recommend to people. I was sent a variety of foods from Veestro to try and loved every single one of them. They are meat and dairy free, fairly low in calories and low in sodium. The number one thing that impressed me about this company is that their meals are quite low in sodium which is pretty much unheard of with frozen meals. Some dinners literally only had 250 milligrams of sodium!! All of the meals that I had did not have any added salt or were quite low in added salt. As I have said in the past, I am very sensitive to salt and greatly try to reduce it in my diet. Veestro helps make healthy eating so simple. Risotto with Butternut Squash and Kale: This fresh meal is something very similar to what I would make at home. There are no funky ingredients- all ingredients are real food. This meal was simple and tasty. I did think that it needed a bit extra flavor such as garlic but overall was very good. 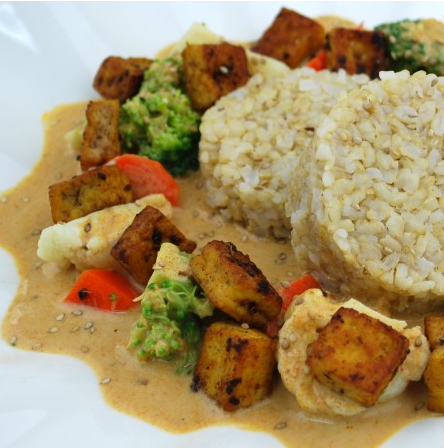 Red Curry with Tofu and Vegetables: This was by far my favorite meal and I can describe how much I loved it! It is a mix of brown rice, vegetables, tofu and an amazing, creamy curry sauce. I would highly recommend this meal. I have already recreated a meal like this at home because I could not stop thinking about it. It tastes like it is full of heavy cream but is actually vegan. 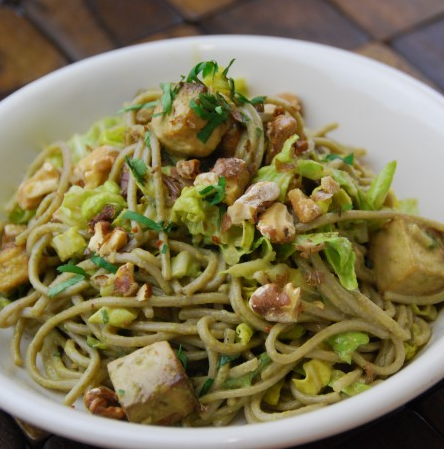 Soba Noodles with Peanut Sauce: I loved the peanut sauce in this meal. It was very tasty over the noodles but I would recommend adding some additional vegetables such as bean sprouts, bell peppers, broccoli or cabbage to make this a more veggie packed meal. Oatmeal Peanut Butter Cookies: These cookies were filling with the addition of oats and satisfying. They are hard and crumbly which I enjoyed. Everything that I tried from Veestro was absolutely delicious and I would recommend it all. The meals come frozen and can be heated in the microwave in about 3-4 minutes. The food shipped quickly and came fully frozen (not defrosted). Unlike some food delivery companies, with Veestro, you choose each item you want- not just part of a meal plan where you don’t get to choose. They have breakfast, appetizers, soups, entrees and desserts. 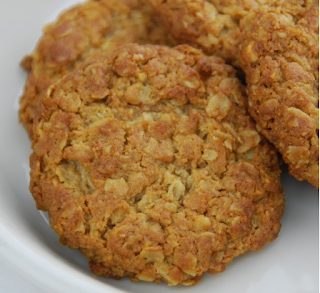 They have gluten-free products and meals specially aimed for children. If you are looking to get your eating on track and like frozen meals, I would recommend Veestro.